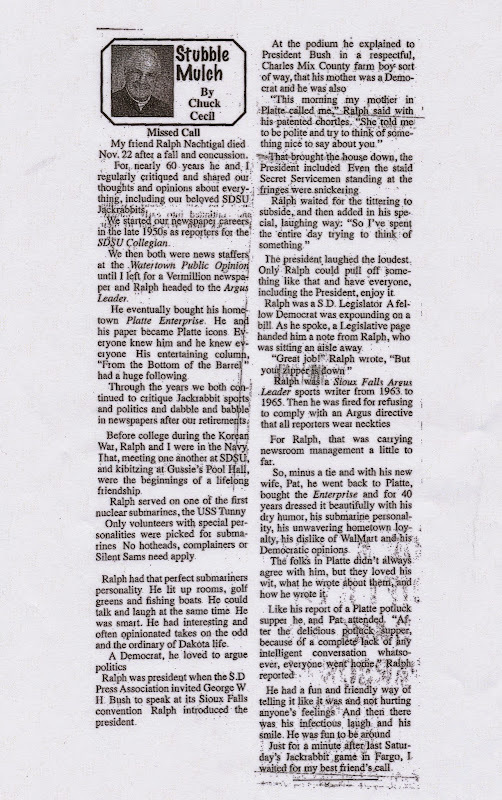 an old friend of dad's wrote a wonderful column about him and i had to share it. there were a couple of stories in here that i'd never heard before. they really made me laugh. it's so interesting to see my dad through the eyes of others. i think it's very hard for us to do that as children, we have one perspective on our parents and while it can be complex and multi-faceted, it's completely unlike the perspectives of friends and others in the community. it's sad that it took his death for me to get this new perspective, but i'm also grateful to have it. good that so many of dad's friends were awesome writers. "...She told me to be polite and try to find something nice to say"... about the President. LOVE that. Your dad was cool. how do you resist the borg?